Scarpeta looks the class act on show at Clonmel on Thursday as he makes his seasonal bow in the Jim Strang & Sons Kilsheelan Hurdle. The Soldier Of Fortune gelding showed some very smart form as a novice last season, the highlight of which was probably his fourth-placed effort behind Samcro in the Ballymore Novices’ Hurdle at Cheltenham. Willie Mullins’ charge was placed in Grade Two company at Fairyhouse subsequently before an unlucky run at the top level at Punchestown. In an eventful Champion Novice Hurdle, he was brought to a standstill two from home by the fall of Debuchet, when still holding every chance. The five-year-old rounded off his campaign with a fourth place on the Flat at Killarney and connections look to have found an ideal opportunity for his comeback. He is top-rated in the seven-runner contest with a mark of 147 and gets a 4lb pull from Chateau Conti, who holds the next highest rating of 139. Scarpeta is tackling three miles for the first time but stayed well on the level, scoring over a mile and six furlongs, so stamina doesn’t look an issue. Chateau Conti reverts to the smaller obstacles now having suffered jumping issues over fences. He is a smart performer on his day, but it may prove a tough ask to give weight away to Scarpeta. The admirable Val De Ferbet could prove a bigger danger getting a 6lb pull from the Mullins horse. 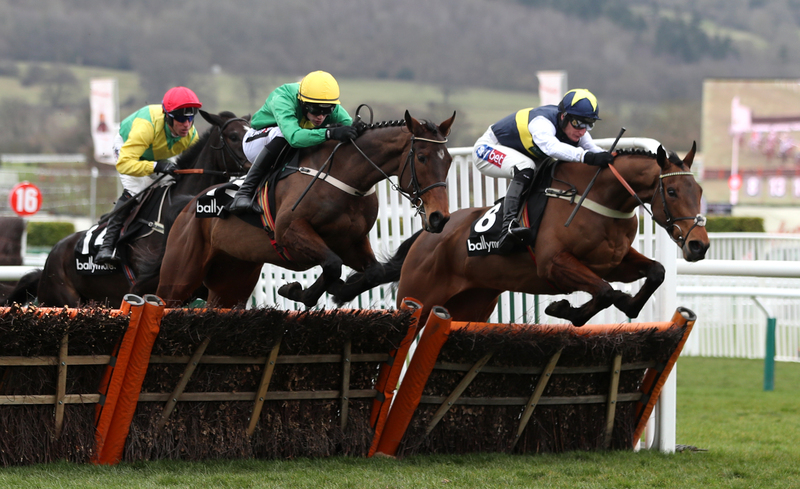 He is also coming into the race following a fall over fences, but rarely turns in a bad effort and these small field conditions events seem to suit him well. Rachael Blackmore will be keen to keep her foot on the pedal, fresh from a National Hunt Achievement Award, and looks to have a strong book of rides on the card. She gets the leg up on Smoking Gun for Gigginstown and Joseph O’Brien, in the opening Clonmel Maiden Hurdle. The Gold Well gelding kept decent company last winter and looks to be taking a significant drop in class now. Blackmore teams up with Shark Hanlon aboard Whatsinthecorner in the following Powerstown Handicap Hurdle and he looks to have obvious claims after two runner-up efforts last week. The pair also combine with Peacocks Secret in the Club Stand Restaurant Handicap Chase later on the card. The Court Cave gelding bids for a hat-trick of wins in the two-mile-two-furlong contest after recent victories at Wexford and Naas. Henry de Bromhead and Blackmore have established a formidable partnership this season and Aherlow represents them in the Clonmel Racecourse Supporters Club Only 90 Euros Beginners Chase. The Oscar gelding makes his debut over the larger obstacles having claimed a maiden hurdle at Cork when last seen in May.